Away With It Waste Management Ltd have been trading for over twenty years, so rest assured we can answer any questions you have regarding waste removal. We are able to offer a bespoke service to suit any budget and any requirement. Operating across London and Essex, we can collect, clear, load and dispose of all types of waste from any location in and around your premises. Our professional uniformed teams will arrive in ultra low emission eco friendly vehicles specifically designed and equipped to clear you waste quickly and efficiently. Away With It, can offer same day waste collection or as required rubbish removal in a wide range of services from house clearance, garden clearance, garage clearance, office clearance, commercial/construction waste, skip hire, WEE collections and many more. On the day, the team will arrive within your chosen two hour time slot and provide you with a free no obligation quote. Alternatively, we can provide a quotation if you send us photos/videos of your waste via WhatsApp.  Our transparent pricing is competitive and complete, there are never any hidden charges and all our prices include disposal fees and labour. In the current climate of illegally fly tipped waste, it is now even more important to ensure that all your waste is disposed of correctly and adhering to policy set out by The Environment Agency. Rest assured, Away With It Ltd have been fully approved by the Environment Agency, guaranteeing all waste taken is disposed of safely and correctly at one of our network of Waste Transfer Stations. For extra peace of mind we have Public Liability Insurance and have been fully vetted by Checkatrade.  Away With It Ltd, offer an Eco friendly waste recycling service, our ethos is simple – recycle wherever possible and dispose of waste in the most environmentally friendly manner. Our aim is to reuse any unwanted items by donating to Charities whenever and wherever we can. On average 95% of all waste collected is recycled, meaning less waste to landfill and reducing our carbon footprint. Below you will find numerous 5 star reviews our clients have left; see for yourself what others have to say!  Please take a couple of minutes to view our welcome video and our how it works page and when your ready to book Call Away With It to arrange your free no obligation estimate on 0208 504 7390, and join our many satisfied customers! Clearing a house can be a mammoth task. Taking all those unwanted belongings to the local tip isn’t just inconvenient and expensive, it can also mean unnecessary items going into landfill. Here at Away With It we offer a sensitive and cost-effective house clearance in Essex and London, and we aim to recycle at least 95% of what we remove. Our qualified and experienced team will provide you with a no-obligation quote, and we guarantee that the price we state is the price you’ll pay. We’re available seven days a week and can agree a time that suits you. 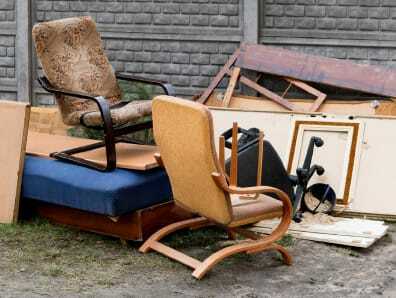 Furthermore, our house clearance operatives do all the hard work so you don’t have to; no lifting and no carrying. We even clean up after ourselves to leave your property in tip-top condition. Why not call us for a quote today? 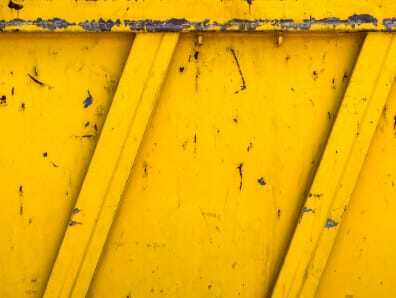 If you’re carrying out domestic or commercial building work and would rather do the lifting yourself then we can offer cost-effective skip hire in Essex. As with our property clearance services we pride ourselves on our flexibility and transparency. Unlike some providers, for example, we’ll agree a time with you for delivery and collection of your skip, and will even ring in advance of our arrival. This means no taking un-necessary days of work, and no waiting around for a skip hire firm that never arrives! Alternatively, our “man with a van” waste disposal service can load up any unwanted items for you – and can even work out cheaper for you! We’ll never charge you what suits us best; instead you’ll find us refreshingly honest.  We’ll listen to your needs and suggest the most cost-effective way of ridding your property of unwanted items. Just because we’re specialists in house clearance and skip hire services, don’t think we won’t help with general waste removal! Whether you have garden waste, domestic refuse or even need help with a com-mercial property we can help. 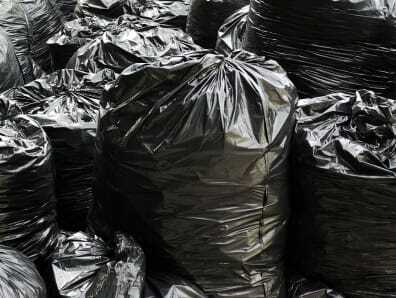 We offer same day waste removal services with bookings in two hour slots at a competitive price. Our two man teams are fast and efficient and will even clear up when the job is done, leaving your property clean and tidy! Here at Away With It we pride ourselves on our standards of customer care. We think you’ll find our way of doing a pleasant experience, as many of our previous clients have. Below you will find numerous re-views that past clients have left; see for yourself what others have to say!